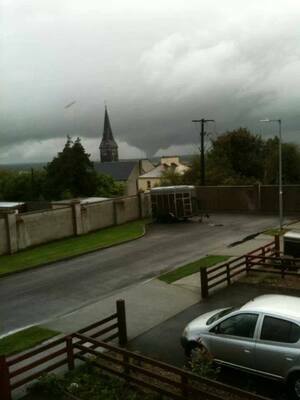 Small Tornado In Bray. No One Hurt. A small twister/waterspout spotted at “around 7am” this morning by Aoife McNulty at Bray Head, Co Wicklow. Posted in Misc and tagged Bray, tornado, twister at 10:55 am on April 14, 2012 by Broadsheet.